For the past 55 years, Mandarin Grill & Bar has provided gastronomic comforts to locals and travelers alike. 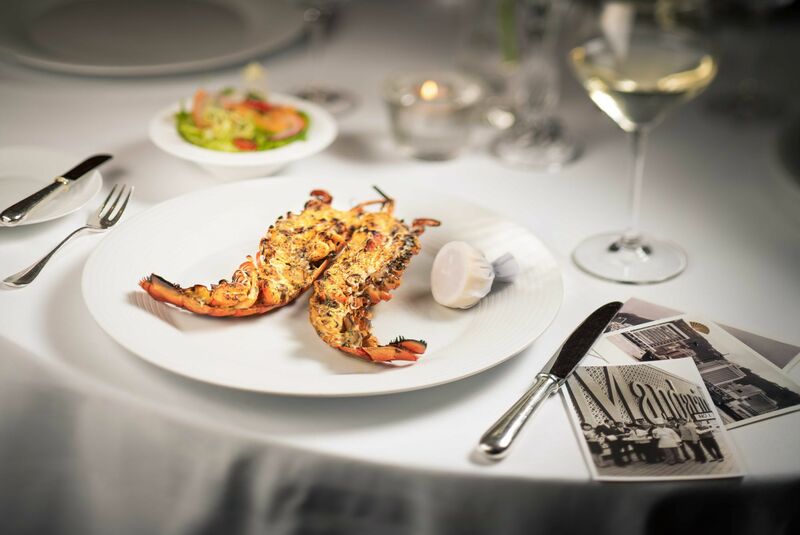 While Mandarin Oriental’s signature grill restaurant may have evolved over the years, it remains a constant on the culinary scene with its unmistakable DNA that is firmly rooted in European traditions. Mandarin Grill & Bar was listed among the finest restaurants in the city in the inaugural 1984 edition of Hong Kong’s 100 Best Restaurants by Hong Kong Tatler (now known as T.Dining by Hong Kong Tatler), with the publication’s critics praising its “mouthwatering menu with many welcome departures from the standard hotel grill fare”. Even in the ‘80s, the restaurant prided itself on its wide choice of top-quality imported beef, from American to Angus to Japanese Kobe; Welsh and New Zealand lamb. The steak tartare is spotlighted as the restaurant’s specialty—and it still remains one of the grill’s most popular items today. The direction of the restaurant is all about going back to basics, Zavou explains. Over the years, he and chef de cuisine Simon Guthridge have focused on fine-tuning the dishes—putting quality and consistency at the forefront, with premium ingredients cooked to the highest level possible. Zavou and Guthridge have gone the extra mile to source produce that meets the exacting standards of the restaurant’s clientele: meats, game and seafood from premier organic farms, boutique ranches and pristine waters, for example. Guests entering the restaurant are greeted with a crustacean bar that runs the length of the room, offering a superlative selection of oysters from around the world.